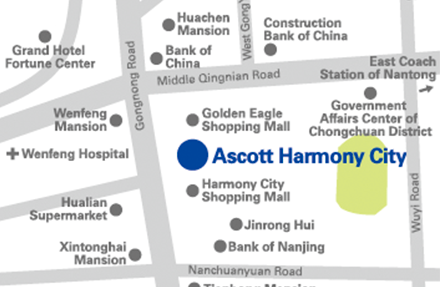 Ascott Harmony City Nantong is located in Chongchuan CBD. The apartment is conveniently surrounded by restaurants, entertainment, shopping, leisure and other facilities that meet your business, travel and lifestyle requirements. 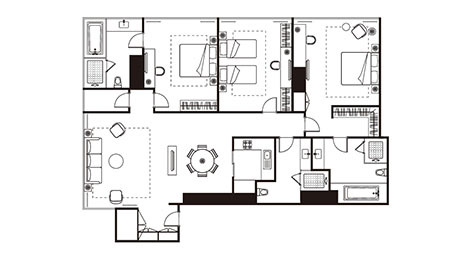 Ascott Harmony City Nantong is designed to meet aesthetic demands and improve usability. 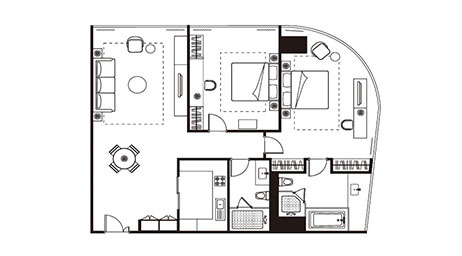 With innovative spatial planning, the interior design allows for more amenities that cater to varying lifestyle needs. The property is ideal for both leisure and business travellers and allows you to experience the Ascott Lifestyle. Ascott Harmony City Nantong is equipped with 164 comfortable and elegant apartments, ranging from studio to three-bedroom apartment, for you to select from. 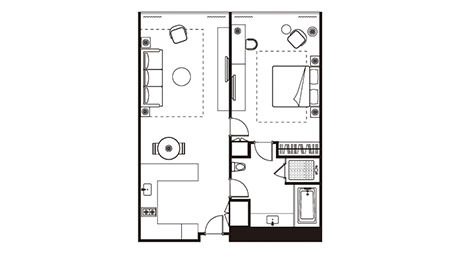 Each apartment comes with a living room, dining area, fully-equipped kitchen and high-quality home audio system; creating a holistic experience for you. The serviced apartment also has a range of other facilities that includes a breakfast lounge, gymnasium, swimming pool, children's playroom and other facilities, making it ideal for both long-term stays or leisure travellers. Availability of high-speed Internet access, conference room and other business support services also makes it a perfect option for international business travellers. In addition, 24 hour security and CCTV monitoring system ensure your safety during your stay with us. Airport shuttle and car rental services are provided at Ascott Harmony Nantong at additional charges.